Attention Deficit Hyperactivity Disorder (ADHD) affects millions of children. 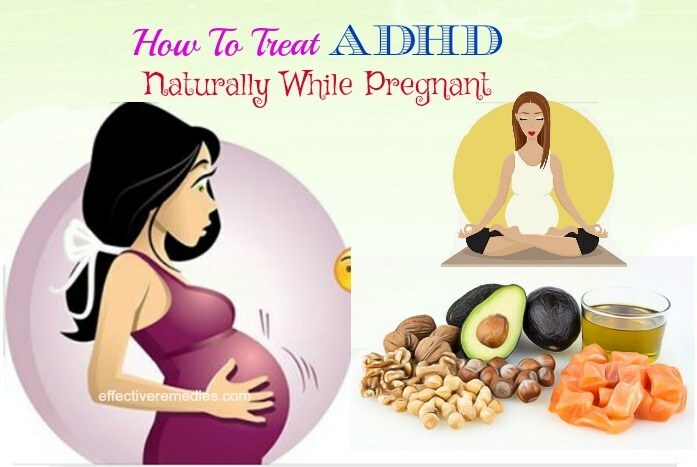 However, pregnant women and adults can also have ADHD. It is a brain disorder, which impacts the ability of a person to focus and concentrate. A few people experience hyperactivity and other symptoms. You can seek medical treatment when you receive a diagnosis. However, you can decrease your symptom with the help of numerous ways and natural remedies. 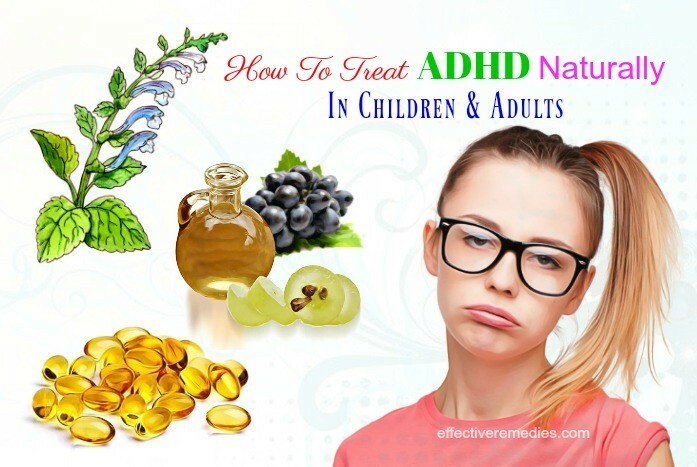 In today’s article, you will discover top 23 worth-trying ways on how to treat ADHD naturally in children, adults, or while pregnant. Following a diet rich in vitamins and protein can be helpful in controlling symptoms of ADHD. Besides, you also need to avoid sugar, common allergens, and artificial flavors. Consume foods rich in protein because they are perfect for increasing the dopamine production that in turn helps an individual stay focused. You can find proteins in eggs, fish, nuts, soy, beans, and dairy products. Eat foods high in vitamin B6 since they help to combat irritability. Avocados, bananas, sunflower seeds, spinach, prunes, and nuts are some of the rich sources of vitamin B6. Complex carbohydrate foods such as whole grains are low in sugar and high in fiber. They help to stabilize blood sugar levels, thus controlling ADHD symptoms. Add zinc-rich foods to your diet because low zinc levels are related to ADHD. 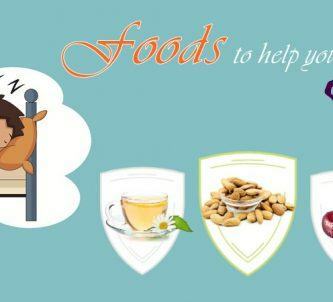 Foods rich in zinc include squash, peanuts, sesame seeds, cheese, liver, and oysters. Eat foods rich in magnesium because this mineral is effective for reducing irritability, minimizing mental confusion, and increasing attention span. Spinach, pumpkin seeds, Swiss chard, sunflower seeds, cashews, black beans, and soybeans are some of the best sources of magnesium. Eliminate foods with artificial sweeteners, artificial colors, preservatives, and flavorings from your diet, as these foods can result in learning disabilities and hyperactive behavior. Stay away from “bad fats” such as trans fats. Those found in pizza, fried foods, and burgers. Avoid nitrite. Commonly found in canned foods, lunchmeat, and lots of processed foods, nitrites are associated with an increase of IBS, childhood type I diabetes, and certain types of cancer. It can also cause rapid heart rate, restlessness, and difficulty breathing that will worsen ADHD symptoms. Here are the top tips on how to deal with ADHD naturally in adults, children and during pregnancy. A study in 2012 showed that regular physical exercise could be useful for battling anxiety, stress, negative affect and behavior, compulsive behavior concomitant, poor impulse control, and depression. Besides, doing exercises in green, open spaces is excellent for promoting brain function in individuals with ADHD. Ensure your child spend a minimum of thirty minutes a day performing the highly active exercise. Swinging, swimming and bike riding are some exercises that most kids enjoy. Gymnastics, martial arts, ice skating, and dancing are some good options. Also, you can take your child do strength-training exercises, walking, or jogging. Yoga and tai chi are beneficial for people having ADHD. The deep relaxation techniques, breathing exercises (pranayama), and physical postures (asanas) used in yoga are ideal for calming and enhancing the central nervous system. Tai chi helps to improve ADHD symptoms while yoga helps your children learn discipline, thus managing ADHD symptoms. You can enroll your kid in a tai chi or yoga class or seek the guidance of an expert. According to a 2003 study, twenty minutes of massage two times per week has a positive effect on behavior and mood. Apart from that, regular massage is effective for increasing levels of serotonin, which in turn help to help adjust elevated dopamine levels occurring in children with ADHD. For this purpose, put a little sesame, almond or olive oil on your hands. Start rubbing your hands until the oil turns warm. Then, massage it onto the overall skin of your child. Allow it to soak in for several minutes and remove the remaining residue. Follow this process 2 or 3 times per week. Fish oil is highly effective to help manage the symptoms of ADHD in adults and children. Polyunsaturated fatty acid deficiency can lead to neurodevelopmental along with psychiatric disorders such as dyslexia and ADHD. Therefore, it is best to select a fish oil supplement containing a high ratio of EPA (omega-3 fatty acids) to DHA (omega-6 fatty acids). In addition to this, fish oil supplements are excellent for improving concentration and memory. Make sure to consult a doctor about the best dosage before trying fish oil supplements. Alternatively, eat salmon, trout, sardines, pumpkin seeds, flaxseeds, and other seeds, as they are abundant in omega-3 fatty acids. Ginkgo biloba is great for improving focus, cognition, memory, knowledge retention and perception. Along with that, this herb helps to guard the brain against toxins. A 2001 study indicated that patients with attention deficit hyperactivity disorder who took a combination of ginkgo biloba, Asian ginseng, and American ginseng showed significant improvement in hyperactivity and social behavior. Before taking ginkgo biloba extracts, check with your doctor. Korean red ginseng is used in alternative medicine as a memory enhancer. The memory-boosting potential of Korean red ginseng can be helpful in people with ADHD. As per 2011 study, using Korean red ginseng in individuals with ADHD improved inattentiveness in the subjects. The recommended dosage of this herb is 1,000 mg. It is advised to consult your doctor for proper dosage and suitability. Green oats are also called wild oats or Avena sativa, which is another wonderful herbal cure for the ADHD problem. 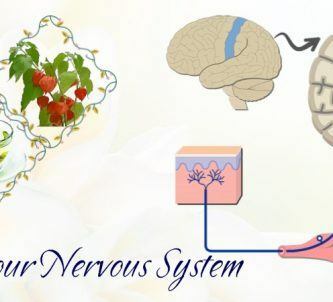 They contain a sedative effect on your nervous system and function as a nourishing brain tonic. Besides, they also help to enhance attention and concentration. You can take green oat extract. But, consult your doctor before taking it. Keeping a calendar or planner can be useful for people who have ADHD. It is a place to record the specific tasks such as homework or work meetings and daily routine. If you often check and update a planner, it is most helpful. You can use online planners or apps with audible or visible reminders to ensure you do not miss scheduled tasks or appointments. Many studies show that the outdoor activities for adults and outdoor play for children can improve ADHD symptoms remarkably. Spending time outside can benefit children with ADHD. According to a 2011 study, daily exposure to green space and outdoors is a natural and safe treatment which can be helpful for people with ADHD. It’s advisable to spend about 20 minutes taking part in a few activities out of doors. Plus, develop a habit of going outdoors twice or thrice per day. Look for nature and greenery setting for the best effect. Eating breakfast is beneficial for stabilizing hormone fluctuations and regulating blood sugar levels. These benefits have a significant impact on ADHD symptoms. It is recommended to consume breakfast on a regular basis. Also, include at least 20 g of protein to the meal. California poppy is excellent for calming, soothing and balancing the nervous system and reducing the high levels of over-activity. It also aids in reducing disturbance and pressure in kids because it is a sedative. It is readily available in stores. Make sure that you take a little daily, early morning to help ease the nerves. You can make water and California poppy concoction or have it in tea as a regular dose. Also, take it in powders and capsules but only after consulting a natural therapist. Catnip helps alleviate symptoms of ADHD associated with restlessness, tension, hyperactivity, and stress. 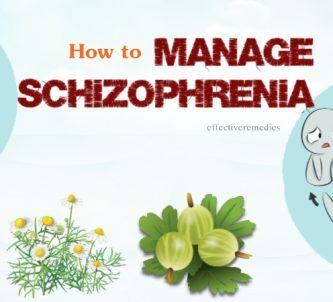 In addition to this, it provides relief from stomachache, diarrhea, headaches, and colic problems caused due to ADHD and ensures peaceful sleep too. Moreover, it is ideal for treating mood swings and hysteria. When it comes to ADHD, skullcap is highly useful for treating restlessness, irritation, and crying. It additionally helps to calm the brain and induce sleep without causing any side effect. The stems, flowers, and leaves of this herb can be used for treating ADHD. You can add it to tea and drink it hot. It is also available as a tincture and may be used to cure many ailments. Grape seed is abundant in bio-flavonoids that are the most powerful antioxidants. More importantly, antioxidants help to remove free radicals from the body that cause disrupt normal body functioning and premature aging. It further guards the brain against the harmful effects of toxins and strengthens the blood flow system of the brain. You can add grape seed extract to your daily food, or pop grapes in their dried form or eat them in their natural form. Behavior therapy can prove useful for children with severe cases of ADHD. Behavioral therapy should be the initial step in coping with the ADHD problem in young children, according to the American Academy of Pediatrics. This therapy resolves specific problematic behaviors and gives solutions to help inhibit them. Also, it can involve setting up rules and goals for the child. Parental therapy can help offer the tools to parents to help their kid with ADHD. Positivity and calmness are more vital than ever when you’re pregnant. If you have ADHD, it becomes even more vital. Practicing mindful meditation will helps a lot to ensure positivity and calmness. It assists you in dealing with the demands on the mind and body. Besides, meditation helps to soothe pregnancy stress that can otherwise cause an inflammatory response that result in early delivery of a baby or lower birth weight. Stress can also have long-term impacts on your child, causing hyperactivity and developmental troubles. Pregnant women often don’t get enough sleep because of the increasing weight of their baby and the ongoing hormonal changes in their body. Pregnant women may need some more hours of sleep nightly or several short naps throughout the day, as per the National Institutes of Health. During pregnancy, sleep deprivation has been related to longer labor, higher cesarean rates, elevated perception of discomfort and pain during labor, and preterm labor. Getting enough sleep is helpful in improving symptoms of ADHD such as inattention and irritability. Sleep disturbances, on the other hand, can worsen ADHD symptoms. Doing yoga during pregnancy is effective for keeping the mind in balance and the body feeling good. Along with that, it helps to keep the symptoms of ADHD under control. However, after the first trimester, do not practice yoga poses, which put stress on the back. Such poses can decrease the flow of blood to the uterus. Plus, don’t do yoga poses stretching the muscles too much, especially the abdominal muscles. Following a proper nutrition and healthy diet is crucial during pregnancy and in controlling ADHD. Pregnant women need to follow a healthy and balanced diet to make sure good health for their baby. Consume foods rich in protein to increase the dopamine production that helps you stay focused. Consume magnesium-rich foods to increase attention span, reduce irritability, and minimize mental confusion. Plus, take the brain foods, prenatal vitamins and fatty acids that help to get rid of undesirable symptoms. Foods high in vitamin B6, calcium, and zinc are also helpful for women during pregnancy. Caution: During pregnancy, don’t use any nutritional supplements without talking to your doctor. 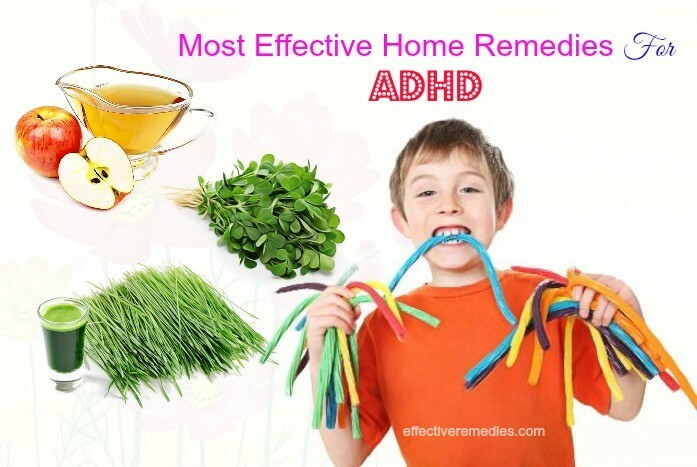 Chamomile is an effective remedy for ADHD. It contains soothing and calming effects, which work wonders in regulating attention and mood. As a result, this helps to decrease hyperactivity. It is also an excellent tonic for feelings of insomnia and anxiety. Add the dried chamomile flowers to the hot water. Cover and let it steep for approximately 5 minutes. Afterward, enjoy this herbal tea every day before hitting the bed. High concentrations of chamomile can cause nausea and vomiting. Allergies associated with aster and daisy plant family can show an allergy to chamomile; before drinking chamomile tea, consult your physician. Also, avoid consuming this tea, if you are taking blood thinner medications. 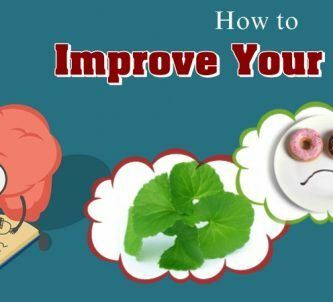 Brahmi is used in Ayurveda as a great alternative cure for ADHD. It serves as a tonic for the brain and helps to lower depression and anxiety, and improve word recall memory. Apart from that, it can guard the brain against free radical damage and encourage cognitive function. Just mix the above elements well. Then, consume this mixture twice every day. You can also take Brahmi in supplement form. Consult your doctor for proper dosage. For a particular person, taking Brahmin in high doses may lead to a headache and loss of consciousness. Wheatgrass is chock-full of many different minerals. It is also loaded with iron, magnesium, calcium, vitamins A, C and E, and amino acids. All of these nutrients are helpful for supporting proper brain function and hormone balance. Add wheatgrass powder or juice to a smoothie. Add one tablespoon of wheatgrass powder to oatmeal. Include wheatgrass powder or juice in vegetable soup. Wheatgrass can get contaminated by an organism name Listeria monocytogenes that can result in serious side effects such as a severe headache. Besides, large quantities of undiluted wheatgrass juice may lead to fatigue and dizziness. People with ADHD usually tend to experience poor digestion. Apple cider vinegar comes with the probiotic effects that help to ease those issues and assist your body in absorbing the beneficial nutrients to enhance cognitive function and hormone balance. Just add the apple cider vinegar to the glass of water. Consume 20 minutes before each meal. Overconsumption of apple cider vinegar can result in osteoporosis together with low potassium levels. It contains the acetic acid that may cause throat burns in children. Organize daily items. Keep all the vital things in designated places. Help your child make a habit of writing important notes down in a notebook. Show your child lots of affection and love. Make sure your child doesn’t spend too much time watching TV, playing computer games, and texting on cell phones. Remain calm and patient when dealing with your kid, even when he or she is out of control. Demonstrate with your hands and use simple words when giving directions to your child. Help your child keep her or his environment organized and uncluttered. Seek new ways to improve the self-esteem along with the sense of discipline of your child. Ensure your child gets proper sleep and rest because being overtired can worsen ADHD symptoms. Treatment for the problem of ADHD usually combines behavioral therapies and medication. Some lifestyle and natural remedies can help, yet those with the diagnosis of ADHD should follow the instructions of their doctor. Natural remedies and supplements may affect the body just as over-the-counter or prescription medicines can. Besides, these alternative treatments may contain side effects and interact with other drugs too. Before ending any existing medication or trying any new remedy including supplements, people should speak to their doctor. Can ADHD Medicine Result In Liver Damage? Atomoxetine (Strattera) may lead to jaundice or liver damage in very rare cases. Notify your child’s doctor instantly if the skin of your child is turning yellow or he or she has flu-like symptoms, dark urine, or upper belly pain. What Are The Majority Medications Used To Cure ADHD? Stimulants and non-stimulants are the main medications used to fight off ADHD. Also, doctors may prescribe antidepressants. Are There Any Serious Side Effect Linked To ADHD Medication? Serious side effects can occur though they are rare. Call your doctor instantly if you see anything that worries you. Don’t give your kid another dose until you speak to the doctor. Did you find this post informative? 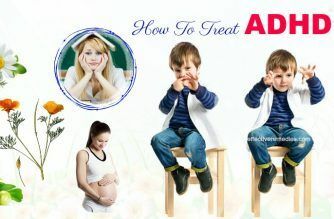 Do you know other ways on how to treat ADHD naturally in children, adults, or women while pregnant? Feel free to share your experience, feedback or thoughts with us in the comments box provided below. All of the contents provided in this article are for informational & educational purposes. We recommend you consult a healthcare professional to determine which method is appropriate for you.